This year’s Total Customer Experience Leaders Summit (TCEL) focuses on “Return on Relationships: Factoring Empathy into the Stakeholder Equation.” Here are just two of the many TCEL sessions where you’ll "discover the emotional drivers that are critical in creating an effective customer story and how to factor empathy into the bigger equation to get a return on customer relationships:"
Want to learn more about customer experience from Crystal, Dan and Mark in person? Join them at Total Customer Experience Leaders Summit 2014 in Miami in April. To learn more about the event and register, go to www.iirusa.com/totalcustomer. Peggy L. Bieniek, ABC is an Accredited Business Communicator specializing in corporate communication best practices. 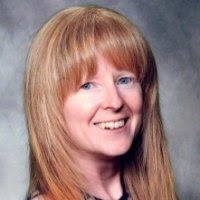 Connect with Peggy on LinkedIn, Twitter, Google+, and on her website at www.starrybluebrilliance.com.